Samsung Galaxy Note 9 cameos at media event in the hands of Samsung CEO DJ Koh! Discussion in 'Android News' started by Preach2k, Jul 16, 2018. Ahead of an event for its official debut, I’ve been catching little tidbits of information regarding Samsung’s upcoming Galaxy Note 9. 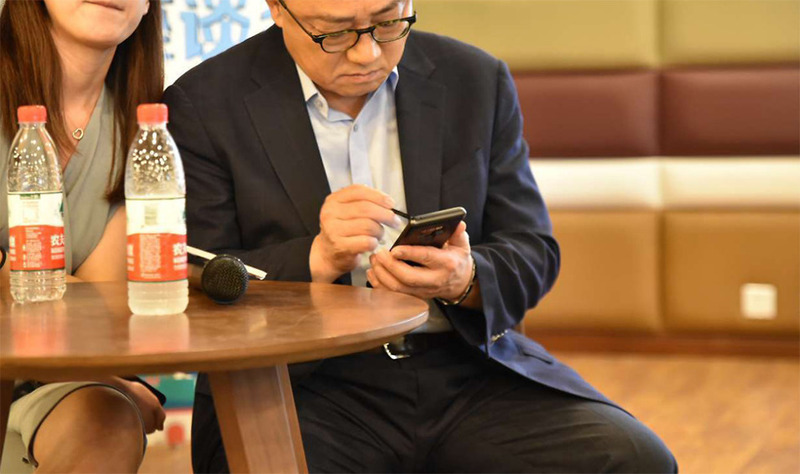 Now, the device has been spotted in public, in the hands of the company’s CEO. 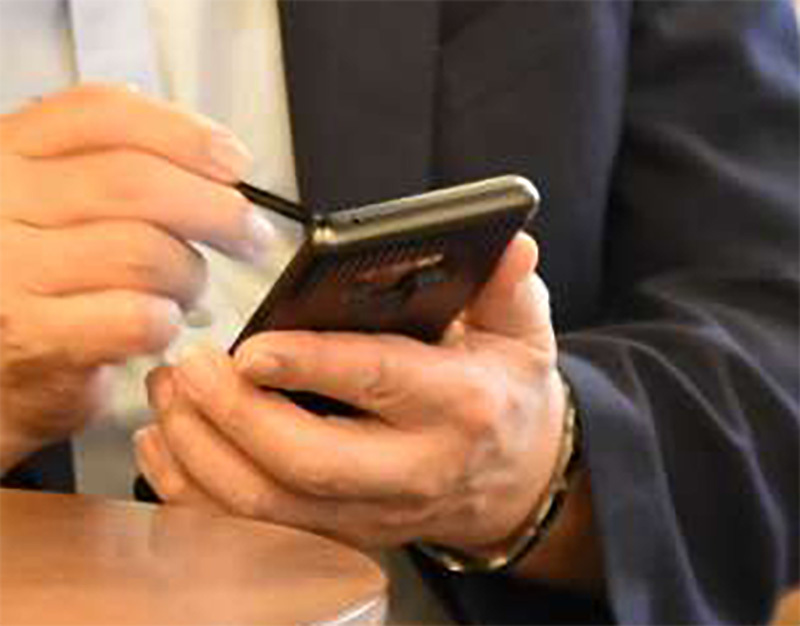 While Koh didn’t show off the device in any official capacity, a photo shows him using the device, S-Pen in hand. While the device in question is in a case, it’s pretty clear that it is indeed the Galaxy Note 9 thanks to the cut-outs on the back of the case which match up perfectly with previous leaks.